I am a happy camper once more – I found my favorite embroidery scissors hidden away in the deepest recesses of my couch yesterday! I had to turn the furniture over and rip some of the dust cover off to get at them, but it was all worthwhile. 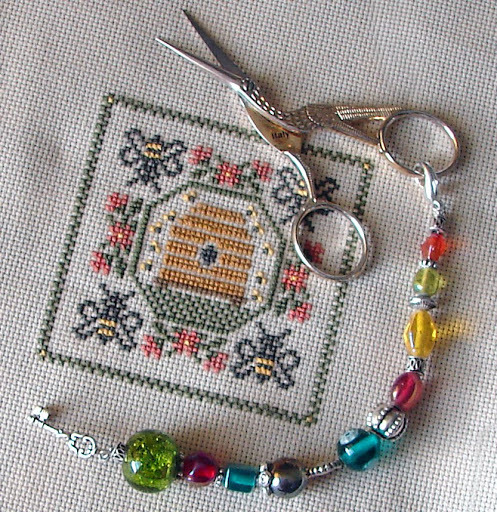 And now see how pretty they look wearing their new handmade beaded scissors fob? I am going to give these babies a good sharpen and then take very good care of them from now on, I promise.